Mugwump concept artwork from David Cronenberg's bizarre semi-biographical film Naked Lunch. 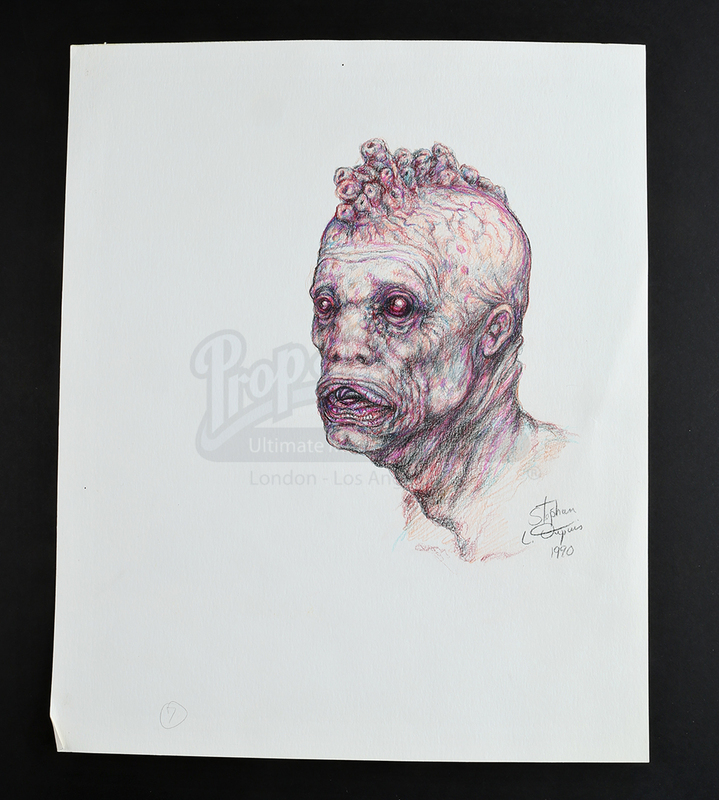 The artwork was used as reference in the design of the Mugwump creatures seen in junkie exterminator Bill Lee's (Peter Weller) hallucinations. 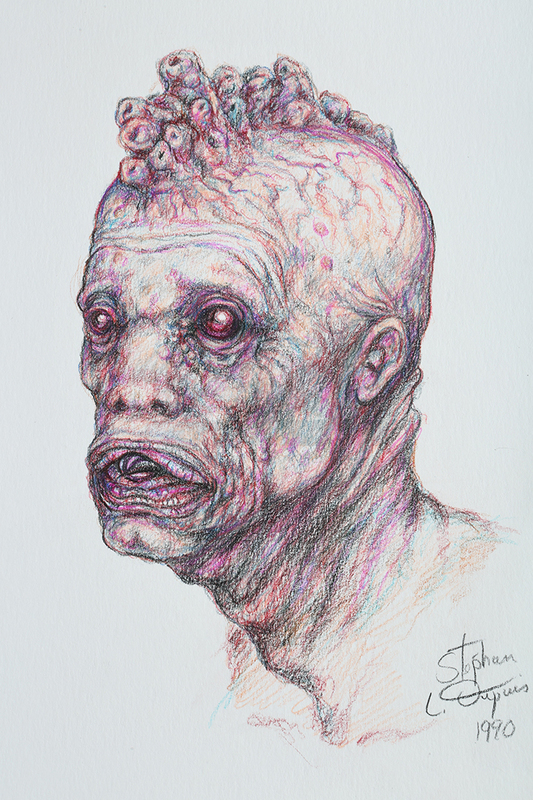 The sketch is drawn in pencil with blue, pink, and purple highlights and depicts the face of a Mugwump. 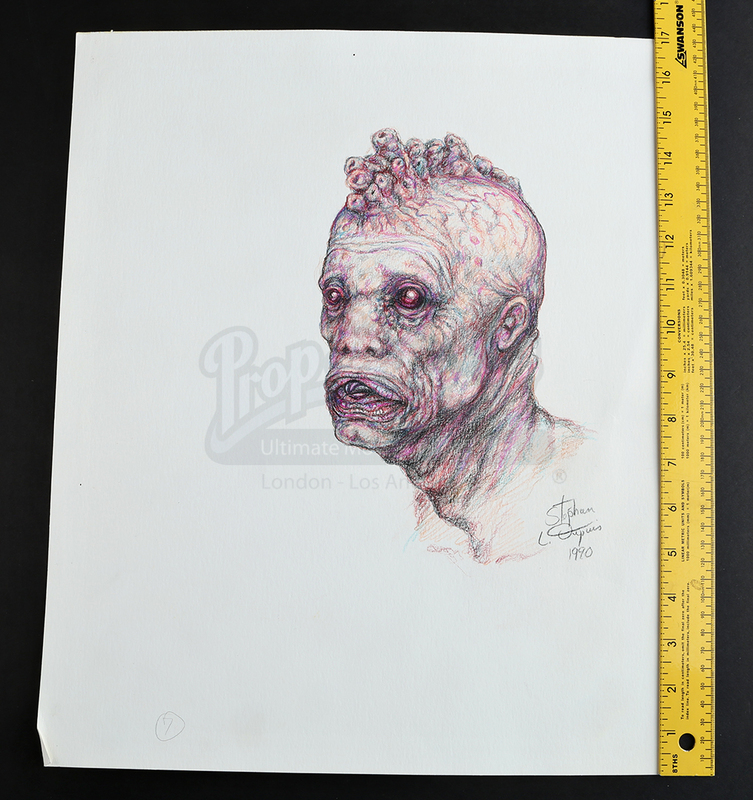 The artwork is dated 1990 and signed by makeup artist Stephan DuPuis and has the number 7 circled toward the bottom of the page. 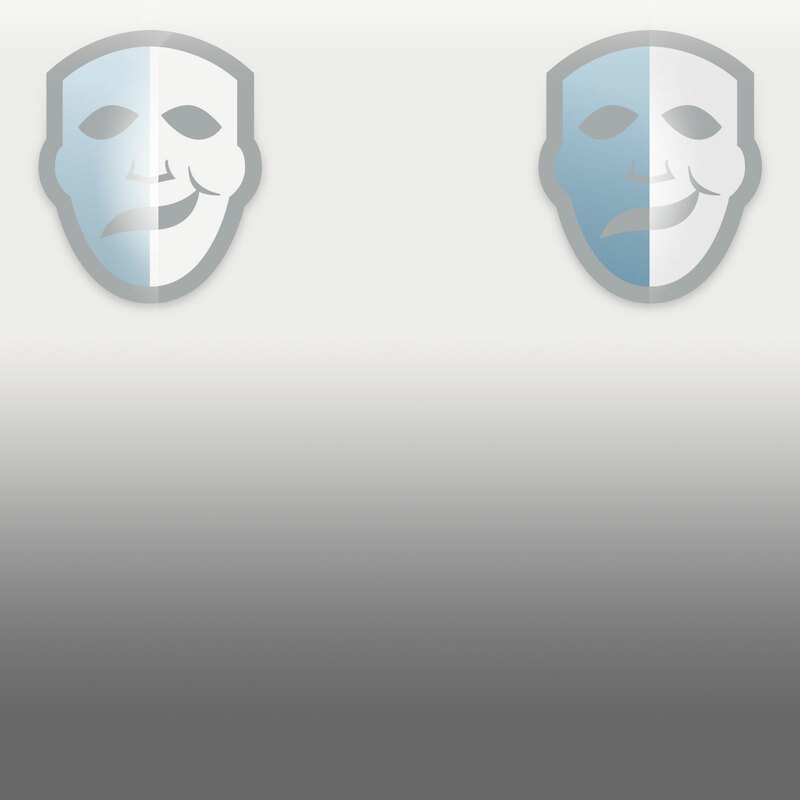 The piece shows some wear and wrinkling from storage but remains in overall very good condition.